Walking conditions – Well-defined footpaths, tracks and pavements. No difficulties. Park near Wellington Square, Ayr next to the Low Green and walk along the promenade towards Alloway whilst ensuring to point out Arran, the Heads of Ayr and Paddy’s Milestone. After about 2 kilometers you will see a footbridge crossing the River Doon. Do not cross it, but instead go left and follow the path up the east bank of the River Doon. After about 500 metres you’ll see a Spar shop next to a main road. Cross the road and take the entrance to Belleslie Park. There’s a number of excellent attractions including a play park and a walled garden. From there walk through track across the golf course and over to the B7024, which is just across from Rozelle Park, then go right. This will take you directly to Burns Cottage. By continuing along this road for another few hundred metres you will pass by Alloway Parish Church, the Burns National Monument and Memorial Gardens, and on to the Brig O’ Doon, as described by Burns in the Tam O’ Shanter poem. It’s a lovely spot. The Brig O’ Doon House Hotel beside it is an excellent place to eat and not as expensive as I had feared. For the return journey walk back the way for about 500 metres and turn left onto Greenfield Avenue which leads back to the River Doon down at the Spar shop. Then make your way back to the coast, walk along the promenade and all the way back to Wellington Square where a fantastic playpark and some good chippies await you. This entry was posted in West Cental Scotland and tagged buggy, city walks on February 25, 2017 by scotlandwalkswithchildren. Walking conditions – Well-defined footpaths, tracks and tarmac roads. Buggy compatible. No difficulties. Pollok Country Park is the home to the Burrell Collection. So you might think that as the Burrell Collection is closed to the public until 2020, that there’s no point visiting Pollok Country Park. Well think again! 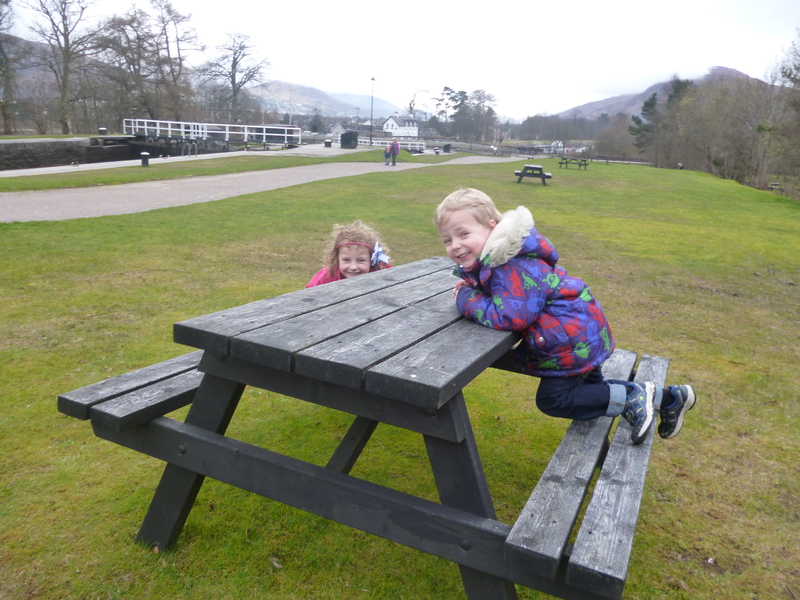 It’s a great park with numerous paths and tracks, a great play-park, not to mention Pollok House. It’s particularly good if you have very small children with the buggy being the preferred mode of transport. All marked walking routes are buggy compatible and there are three of them. These walks are defined as the yellow route (0.7 miles), the blue route (1.4 miles) and the red route (1.9 miles). As there are a series of tarmac paths and dirt footpaths it’s really entirely up to you to wander about where you like. On our particular recent day out we parked in the car park to the rear of Pollok House. We then walked along the tarmac road in a north-westerly direction then pretty much went the way of the red path. We stopped and had our sandwiches in the play-park across from the building that hosts the Burrell Collection. I demonstrated how to use a trampoline to best effect, then we made our way back to the car-park at Pollok House. This entry was posted in Glasgow and Surrounds and tagged buggy, country park, Glasgow walks on January 20, 2017 by scotlandwalkswithchildren. Walking conditions – Mainly tarmac footpath. Buggy compatible. No difficulties. Time required – Around 1.5 to 2.5 hours. In a bid to impress my wife I splashed out on a two night’s dinner, bed and breakfast deal at the 4 star Moorings Hotel in Banavie, near Fort William. The amount of freebies on offer such as the range of biscuits in this 4-star paradise more than warranted the extra cost. But an added bonus was that the Moorings Hotel was right next to the Thomas Telford designed, Neptune’s Staircase. This engineering masterpiece just happens to be set in one of Scotland’s greatest landscapes, and can be taken in with a very enjoyable walk along the Caledonian Canal to Loch Linnhe. Park in the large public car park in Banavie, adject to the Moorings Hotel and walk a few metres to the Caledonian Canal, then turn right.Follow the canal across the road and over the level crossing followed by a 1.6 kilometre easy stroll along the banks of the canal until it meets Loch Linnhe. Cross over at the final sea-loch and you’ll find a delightful picnic area to stop to have your lunch at. The ducks will have already been pursuing you along the canal and are expecting to be fed, so make sure you’ve got some extra bread. Then it’s simply a case of walking back up the other side of the canal. Keep going until you’ve got to the last footbridge, then turn left and walk back down to the car park. And don’t leave until you see a boat crossing the staircase because it’s a sight to behold. This entry was posted in West Highlands and tagged buggy on April 24, 2015 by scotlandwalkswithchildren. Walking conditions – Tarmac/dirt footpaths. No difficulties. Buggy compatible. House prices in East Renfrewshire are notoriously high. 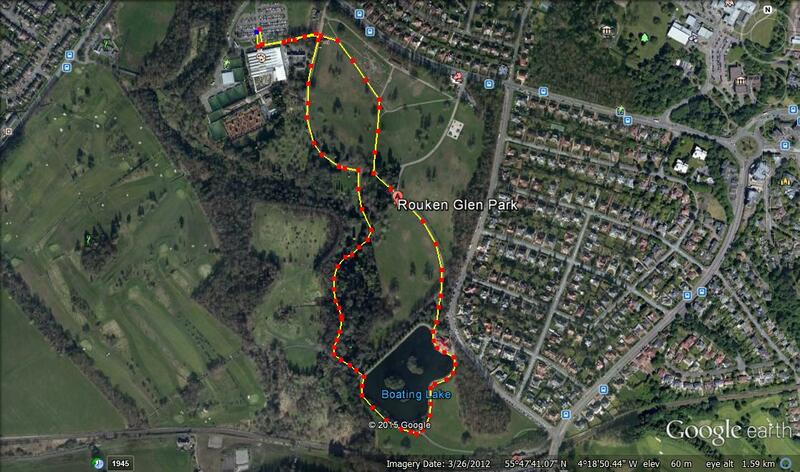 Apparently, it’s all down to school catchment areas, but I wonder if Rouken Glen Park has something to do with it. 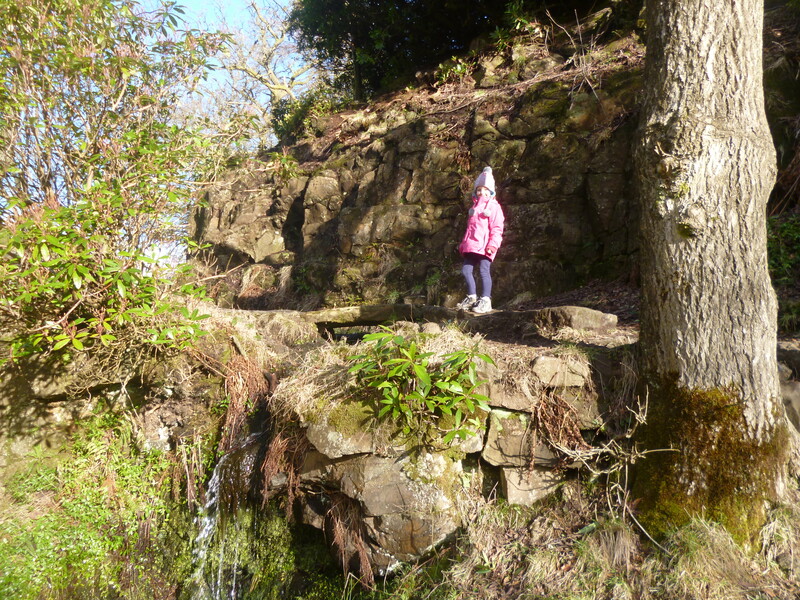 Either way, Rouken Glen Park is still well worth a visit. There’s a brand new pirate themed play area in the middle of the park, so what further incentive do you need? What about an ice cream shop next to a boating pond? Oh, it’s got that as well. Park in the large car park in front of the garden centre. The path to the left takes you to the wide open section of the park. You’ll immediately see the ‘pirate’ play area. By continuing along the path for a few hundred metres you’ll pass the skatepark on your left and then you’ll reach a small incline that leads to the boating pond. Walk around the pond clockwise, buy an ice cream then take a left. This will lead you to a spectacular waterfall down the White Cart. Cross the waterfall via a bridge, and then immediately take a right onto a delightful footpath which follows the stream and crosses a series of little bridges. This will lead you back to the wide open section of the park. Make your way back to the car park. 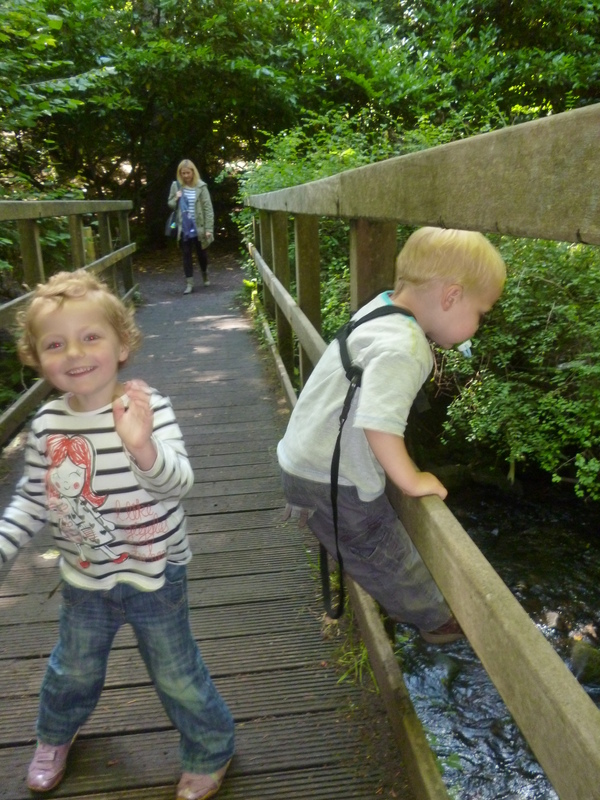 This entry was posted in Glasgow and Surrounds and tagged buggy, city walks, country park, Glasgow walks on March 29, 2015 by scotlandwalkswithchildren. 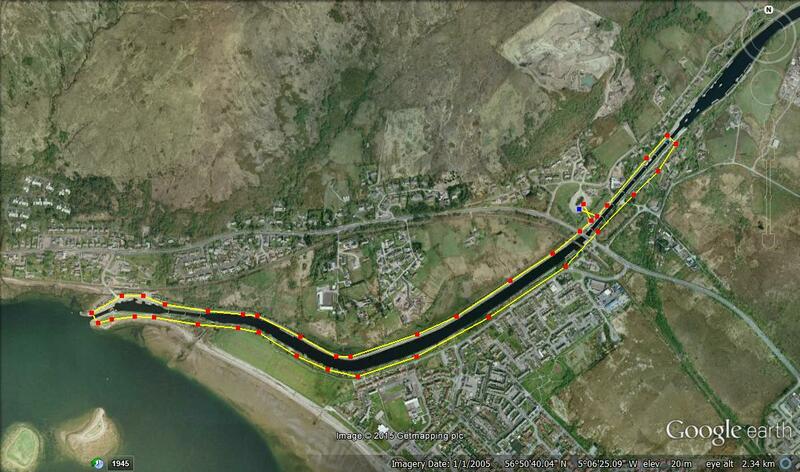 Walking conditions – Roads, footpaths (or sandy beach). No difficulties. Buggy compatible. The South in South Queensferry may be optional, but a visit to this charming town on the shore of the Firth of Forth is obligatory. Try to visit before the new bridge has been constructed as the building works are amazing to look at. 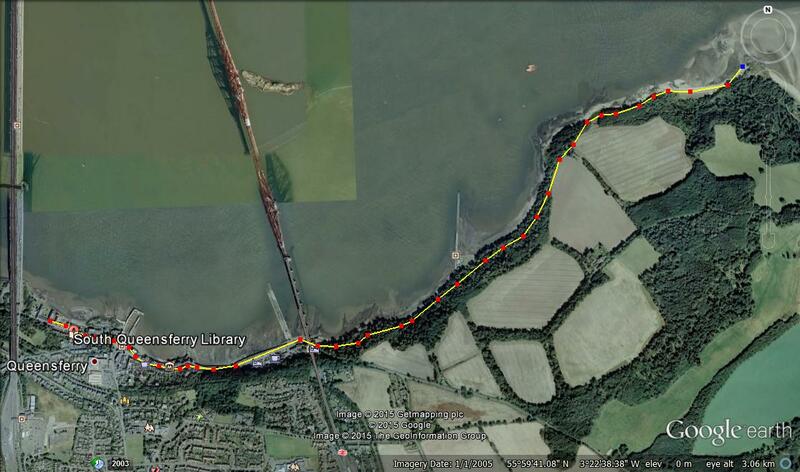 That’s right, there will soon be three bridges over the Forth, in close proximity. After all we’re in the land of plenty with trams and Holyrood and investment galore. The walks aren’t half bad either. 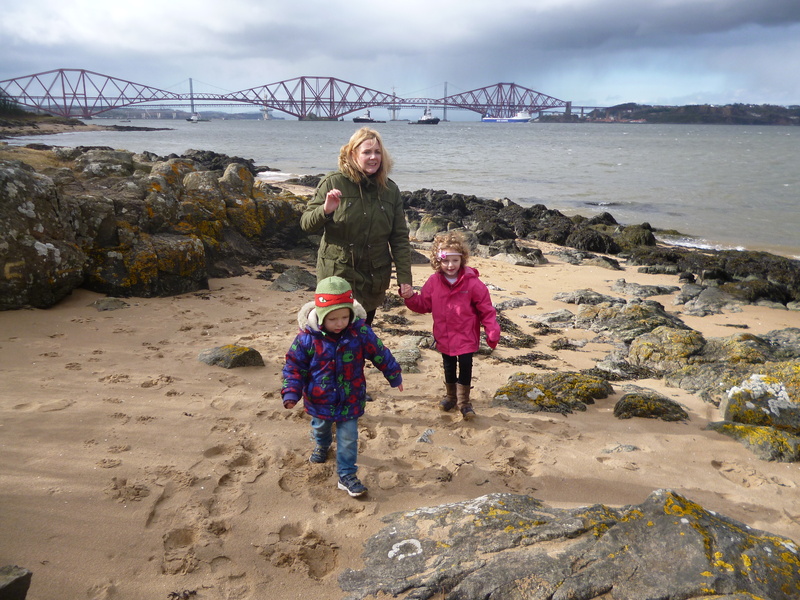 The walk from South Queensferry to Hounds Point is just one such walk. Find a parking space in the cobbled Queensferry High Street and follow this road going eastwards. After just over 1 Km you’ll be at the foot of the Forth Rail Bridge with Hawe’s Inn (featured in Robert Louis Stevenson’s Kidnapped) on your right. Another few hundred metres takes you to the start of the Dalmeny Estate. There’s no vehicles beyond this point so you’ll start to feel as if you’re now on a proper walk on a footpath. The path continues to skirt along the shoreline and before long you’ll be on the magnificent sandy beach of Hounds Point; a place that is well worth the walk in itself. Return via the same route. This entry was posted in East Central Scotland and tagged buggy, edinburgh walks on March 14, 2015 by scotlandwalkswithchildren. Walking conditions – Footpaths and tracks. Can be a little muddy after heavy rainfall. Buggy compatible on dry days. No difficulties. Milngavie is probably best known for being the town that always has its name mis-pronounced. But it’s also famous for being the start of the West Highland Way which is far more exciting. And Mugdock Country Park is directly across the road from the start of the West Highland Way. It’s an expansive park with countless walking routes in addition to playparks, a castle, garden centre, and second world war installations to name but a few things. A great day out! For one of our favourite routes, park at the garden centre and make your way south past the courtyard and on to the gravel track. This southerly track quickly veers to the right and you will soon see a large ruin. The track then curves around to the left until you start to walk in an easterly direction. After about 300 metres keep your eyes out for the footpath leading off to the right (you’ll see the castle on the right so you can’t really go too far wrong). This path takes you out over marshy ground. Not to worry though, because you’ll be walking on wooden decking. And after no more than a couple of hundred metres you’re in Mugdock Castle. To return, follow the footpath back to the track but this time turn right for a couple of hundred metres. Then take the footpath going left. This takes you on a nice loop back to the car park via the Walled Gardens. 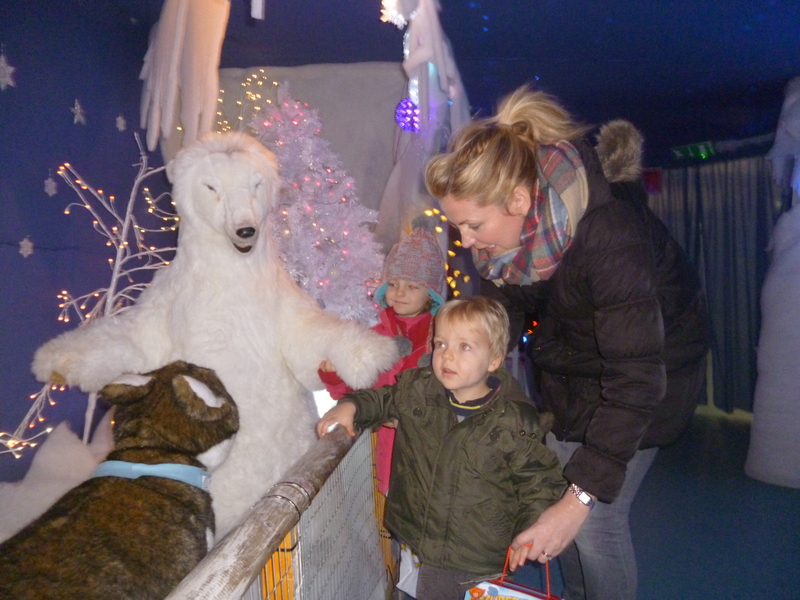 Visit the café and visitor centre, then let the kids run about the playplay. This should ensure that they’re suitably exhausted and you can guarantee yourself a good night’s sleep. This entry was posted in Glasgow and Surrounds and tagged buggy, country park, west highland way on March 6, 2015 by scotlandwalkswithchildren. 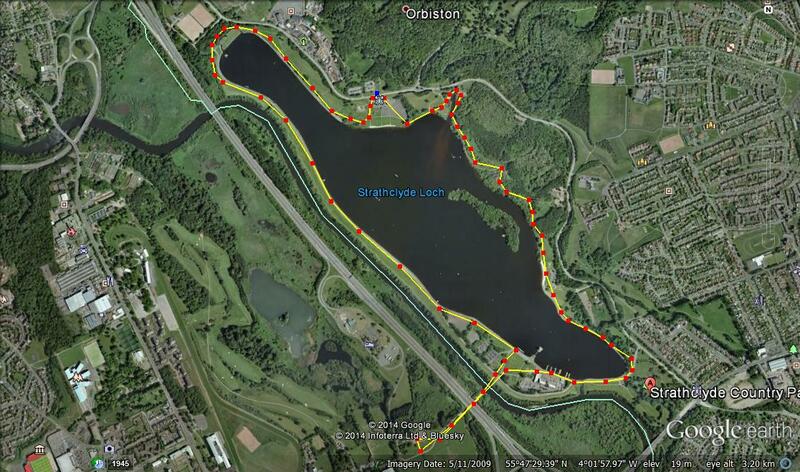 Strathclyde Loch could never be described as a Mecca for hill-walking enthusiasts. However, it’s a good, healthy circular walk with an excellent view of Tinto Hill. It’s both buggy and pram-friendly. Indeed, it’s the place where I used to jog with the pram to accompany my wife when she took up running. Strathclyde Park is also home to M & D’s as well as a state of the art water sports centre which was used for the Commonwealth Games. There’s also play-parks at various points around the route. In a nutshell, there’s loads to do and most of the the population of Lanarkshire know this. So go early to avoid them because it can get really busy. Oh, and make sure you scare the children with ghost stories about the abandoned mining village of Bothwellhaugh, which can be found, still in tact at the bottom of Strathclyde Loch. The route could not be simpler. Park close to M & D’s and make your way to the loch-side. Then walk around the loch (we prefer anti-clockwise) on the tarmac path which goes around the edge of the entire the loch. The one deviation we would suggest is a quick visit to the Mausoleum. To get there cross the footbridge over the River Clyde which you will find just to the rear of the water sports centre. From there walk through the M74 underpass and you’ll see the Mausoleum in all its splendour just ahead of you on the right hand side of the path. 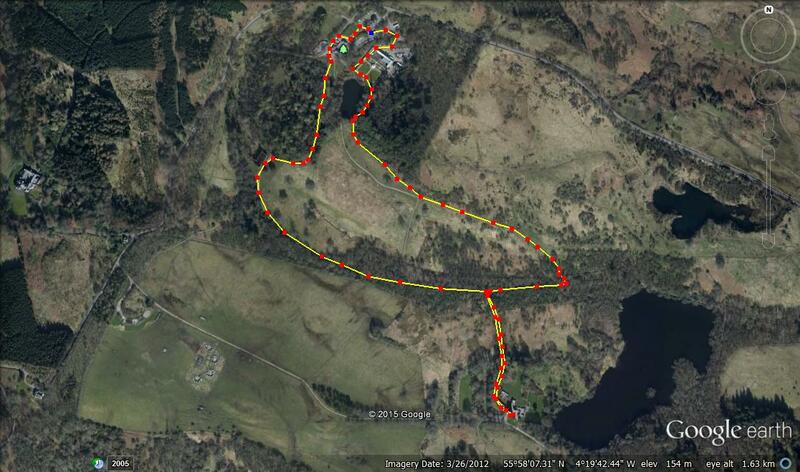 Then about-turn back to the loch-side to finish off the circuit. This entry was posted in West Cental Scotland and tagged buggy, Clyde Walkways, country park on December 21, 2014 by scotlandwalkswithchildren.